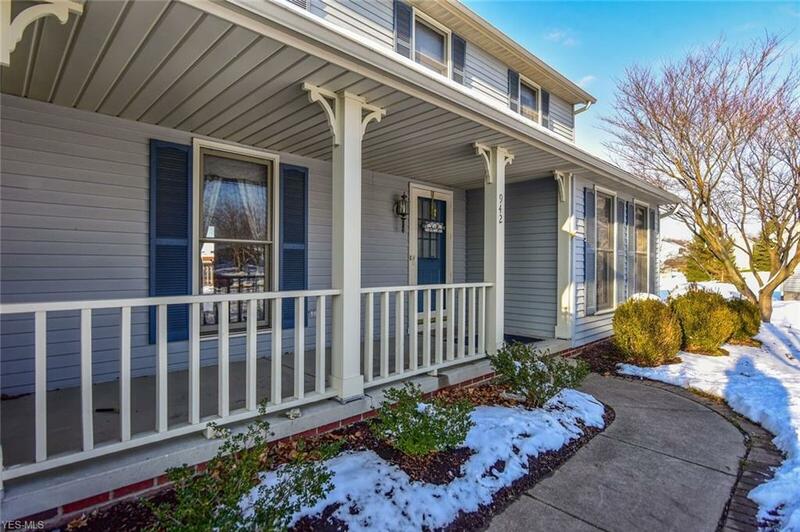 This amazing colonial style home boasts THREE LARGE BEDROOMS, 2.5 BATHROOMS, 2 CAR GARAGE, 1st FLOOR LAUNDRY, FINISHED LOWER LEVEL ON CUL-DE-SAC! 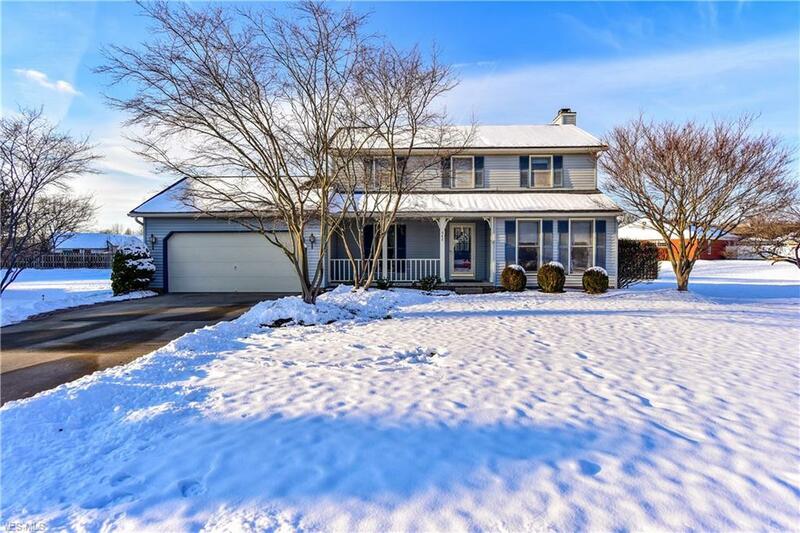 Located on a prime lot within the beautiful Fieldstone Subdivision in the much desired Kent Ohio! Upon entry, step into the foyer of this classic center hall Colonial where the solid Oak hardwood floors are durable & inviting. The foyer allows access to upstairs, formal sitting room, formal dining room & center hall to kitchen. 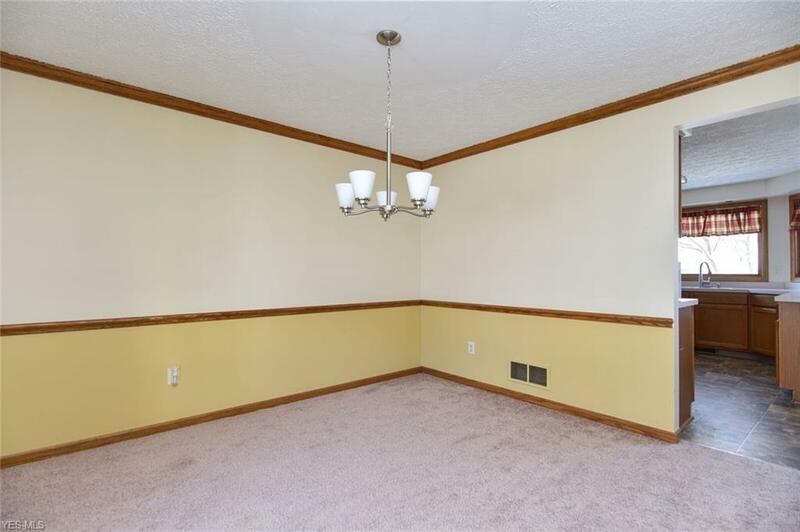 The spacious & bright Formal Living opens to the Family Room, both w/ neutral colored walls, newer carpet & a wonderful focal point, a Masonry Gas fireplace. The Eat In Kitchen includes updated stainless steal appliances, newer vinyl flooring, plenty of counter & cabinet space & a spacious pantry. FIRST FLOOR LAUNDRY/half bath combination, conveniently located off kitchen near the garage door & pantry. Kitchen also has sliding door that leads to the rear deck, 25' x 14', that overlooks the meticulously landscaped & groomed backyard. Upstairs are 3 spacious bedrooms including the Master Bedroom w/ vaulted ceilings, large en suite & walk-in closet. The finished Lower Level adds over 500 sqft of living space to this home, lots of storage, & a huge Utility Room. New carpet in Lower Level Jan. 2019. 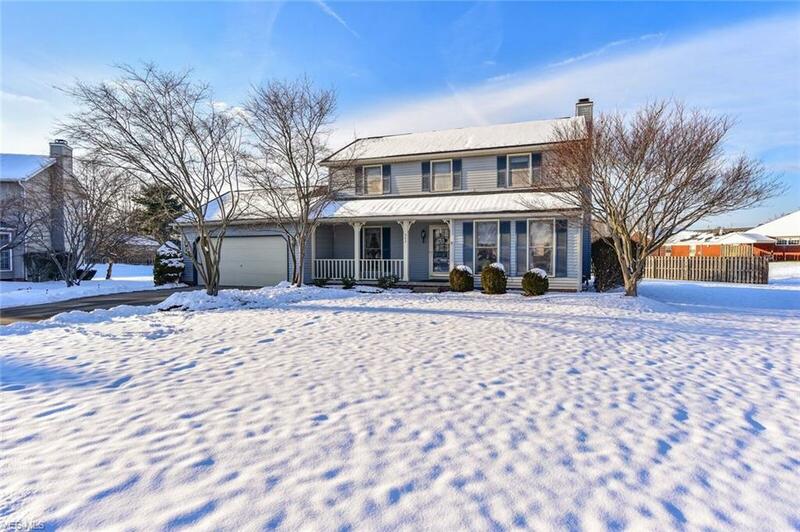 IRRIGATION - SPRINKLER SYSTEMS, ZONED INVISIBLE PET FENCE - FRONT AND BACK YARD, conveniently located near shopping, parks, and Kent State University. CALL NOW TO SCHEDULE YOUR PRIVATE SHOWING!